ONE GOOD T.P.S OFFICER | TORONTO'S FIRST "Cop Watch"
My search for a Good Toronto Police Officer has finally pay off. 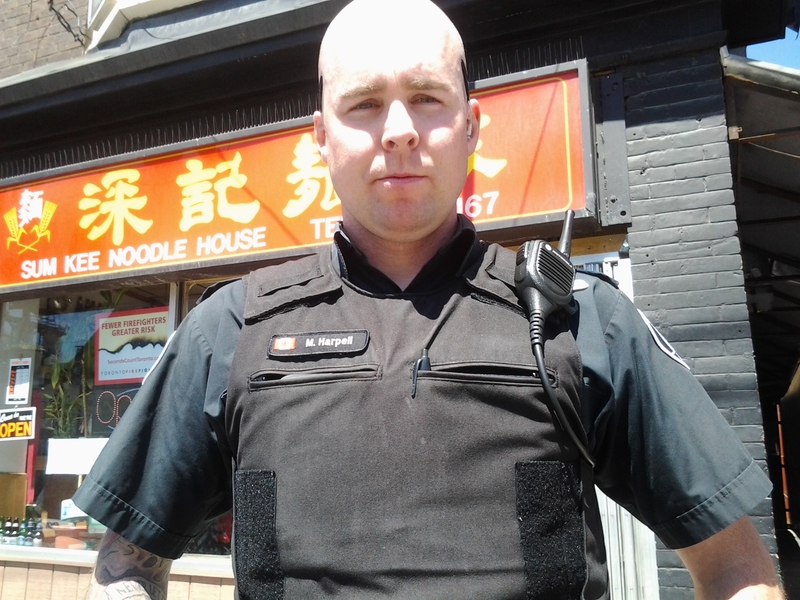 Please meet officer Harpell from 55 Division. My son and I were riding our bikes on Gerrard St last May 05 2013 when I noticed a Police Cruise parked on a illegal zone. The officer was getting a Coffee at “StarBucks” , I politely asked of Mr Harpell to park on a legal spot because he should be a good example for other citizens not to mention that he is breaking a City Bylaw. Mr Harpell complied with my request an moved his car to a legal parking spot. I applaud good police officers , I won’t deny it …there are good cops out there and their names need to be celebrated. I am thankful for Mr Harpell because he left a positive image of the T.P.S to my son and I. Thank you Mr Harpell on behalf of Toronto Taxpayers!